It started as a kitchen experiment by my eldest son and soon, it becomes a favourite amongst my kids. They have wondered what pork burger tastes like because we do not get them at McDonald’s Malaysia. I heard they serve pork in McDonald’s Thailand? I know Singapore and Hongkong also do not serve pork at their fast foods chain. Mix all the ingredients and flavourings in a big bowl and smash the blob of minced meat against the inner side of the bowl to sort of firm up the patty. 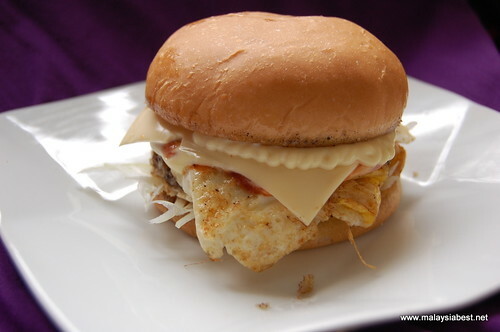 Then, using a clean plastic bag or cling wrap, roll the patty to the thickness you want. Leave this layer of meat in the fridge for a few hours for it to firm up further. Using an appropriate size cup or bowl, ‘cut’ the patty into equal sizes and wrap them into clingwraps and freeze if you want to store the balance. 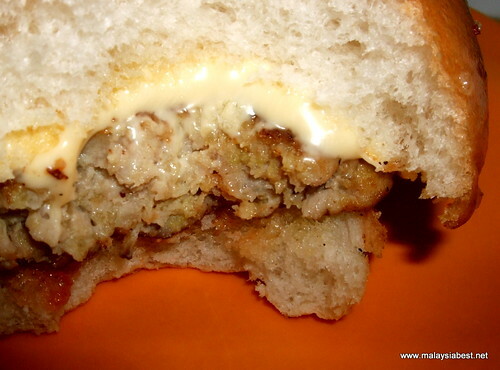 Alternately, you can roll the patty into balls, and then, flatten it. We found that to be more tedious than to ‘cut’ them like how you cut cookies. I never like the idea of buying local burgers from the burger stalls because the meat patty contains a lot of animal fats. If you don’t believe, try frying a piece and see how much fats oozed out. I wonder which part of the animal they use for these burgers? 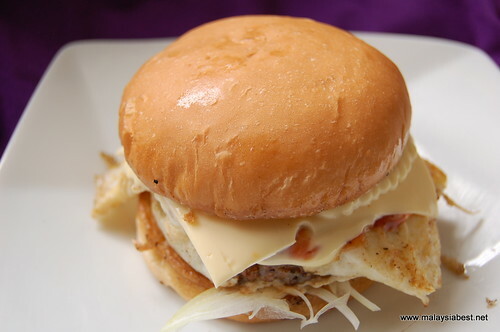 Now, barbee burger is a easily available because we can store them in the fridge. You can use minced chicken or minced beef but we have never try them yet. Hey Lilian, the pork burger looks really nice and tempting! I will give it a try tonight! 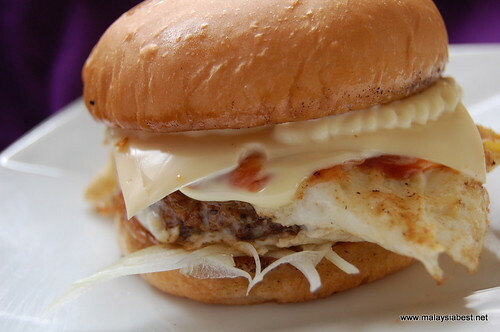 I do agree with you in regards of the local ramlee burger. It oozees so many oil while cooking it. It scared the hell out of me. I guess making our own patties is surely much more healthier….. Thanks for your recipe! I will let you know how it turns out tonight…. hong kong McD do serve pork. I had it before in Hong Kong but i think i prefer beef burger than pork burger. I tend to make my own burgers especially in the summer when it is all out grilling season. Yours looks wonderful! wah wah wah seriously drooling!!! good blog u have here ya! taste is really good.My children like to eat. Hi Lilian, not sure if you still remember me, i was in KL, quit my job and moved to Sydney with my husband. Now i’m a housewife and I just want to thank you for giving out so many good recipes, you save my life. Tomorrow i go buy pork! Oh my, that looks awesome! As a burger fan, I WILL be trying this out! Thanks.